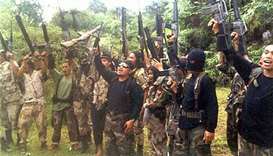 An Indonesian militant who joined gunmen loyal to the Islamic State group in a five-month battle for a southern Philippine city was arrested there on Wednesday, police said. 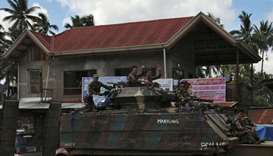 Philippine troops on Tuesday killed a pro-Islamic State gunman in the southern city of Marawi, a military official said, eight days after the government declared the end of hostilities. 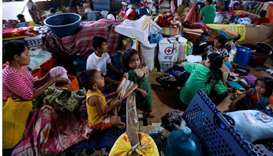 The army previously set a target of Sunday to end the fighting in Marawi, which it said has killed more than 1,000 people. 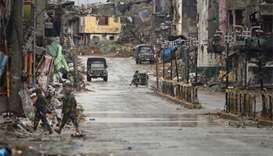 Two months after Islamist militants launched an assault on one of the biggest southern cities in the Philippines, the fighting is dragging on, and President Rodrigo Duterte says he is prepared to wait for a year for it to end. 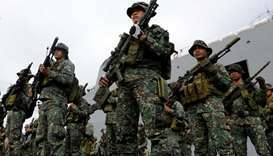 Two suspected Abu Sayyaf terrorists were killed in a firefight with government troops in the southern Philippines during a rescue operation for four construction workers abducted last week, the military said on Friday. A Philippine government air strike aimed at Islamist rebels mistakenly killed two soldiers on Wednesday, the military said, the second such deadly accident in a bloody campaign to oust the militants from a southern city. 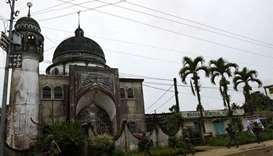 The Philippine military said on Wednesday it was likely that large numbers of civilians had been killed during the five-week occupation of a southern town by Islamist rebels, due to "atrocities" by the militants allied with Islamic State. 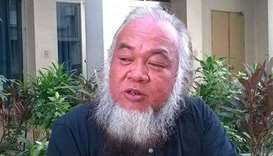 A Roman Catholic priest abducted by Islamist militants who seized parts of a southern Philippine city has been seen alive, the military said Monday, as troops pressed on with their offensive.